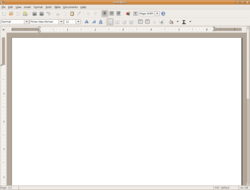 AbiWord is a free and open source software word processor. It was originally started by SourceGear Corporation as the first part of a proposed AbiSuite. Development stopped when SourceGear changed their focus to Internet appliances. AbiWord was adopted by some open source developers and AbiWord continued to be developed.